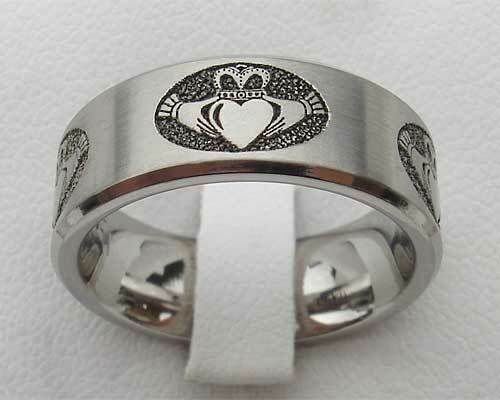 Men's Claddagh Wedding Ring : LOVE2HAVE in the UK! 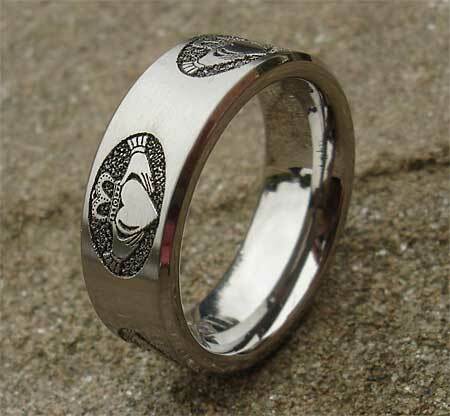 A men's 7mm wide, flat profile, titanium men's Claddagh wedding ring with chamfered edges and an outer laser engraved repeated Claddagh design symbol. Most people have heard of the Claddagh symbol, but just to clarify it represents love and friendship.